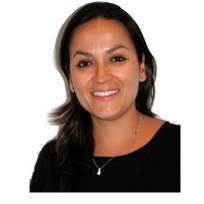 Dr. Erika Ruiz-Mealin BDS(COL) IQE(UK) MSc. MJDF MOrth(RCSE) has worked for many years in private practice as a specialist orthodontist. Erika qualified as a Dentists in 1997, gained a Fellowship in Dental Surgery from the Royal College of Surgeons of England, An MSc in Orthodontics from the Eastman Dental Hospital of University College of London and Membership in Orthodontics from The Royal College of Surgeons of England. Erika uses the most advanced orthodontic techniques available, including lingual (inside) braces, clear braces and Invisalign. Erika enjoys spending time with her young family and travelling.